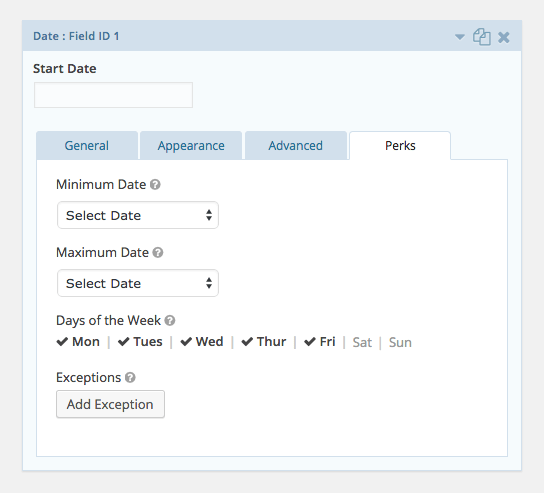 GP Limit Dates allows you to limit the selectable dates in your Gravity Forms Datepicker fields. This plugin gives you granular control to manage the selectable date range with an easy-to-use user interface. Set a minimum and maximum date range; manually, based on current date, or by date selected in another field. Require a date greater than the current day. Specify which days of the week are selectable. 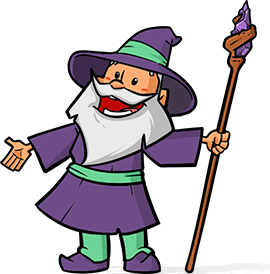 Specify exceptions for specific dates; make any date available or unavailable. Date selected in one date field sets minimum (or maximum) date in another. Dates are automatically converted to WP-configured timezone. 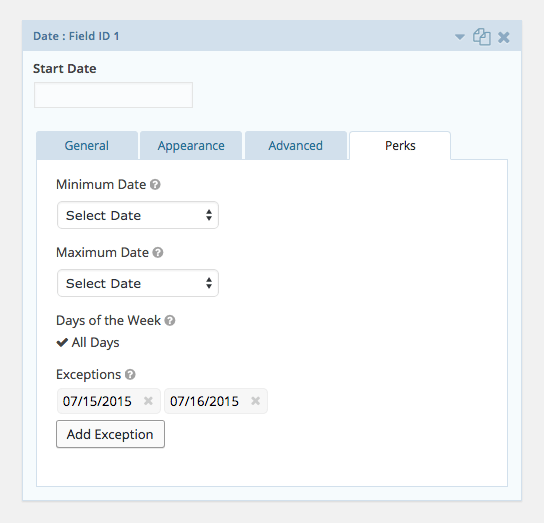 Modify the min/max date limits by adding or subtracting days, weeks, months or years. The date picker can be displayed inline in your form rather than as a popup. Dates are validated even when entered manually; client-side and server-side. Works well with Gravity Forms Read Only for enforcing use of the datepicker. Manage all settings with ease. 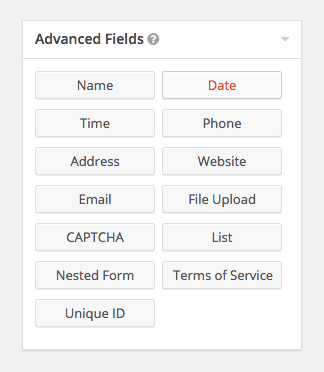 Click on the Date field to open the field settings. Confirm that the “Date Input Type” is set to “Date Picker”. This is the only input type that will work with GP Limit Dates. By default, new Date fields will be assigned the “Date Picker” input type. Navigate to the “Perks” tab in the field settings. 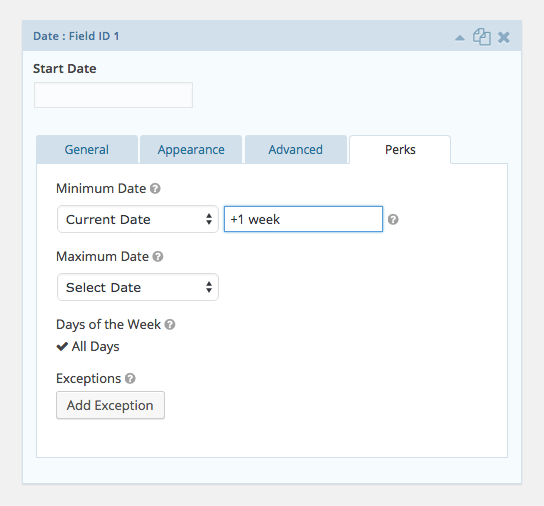 Configure the Minimum Date, Maximum Date, Days of the Week, and Exceptions settings as desired. For full instructions on these settings, see below. Check out our How To articles at the bottom of this page. 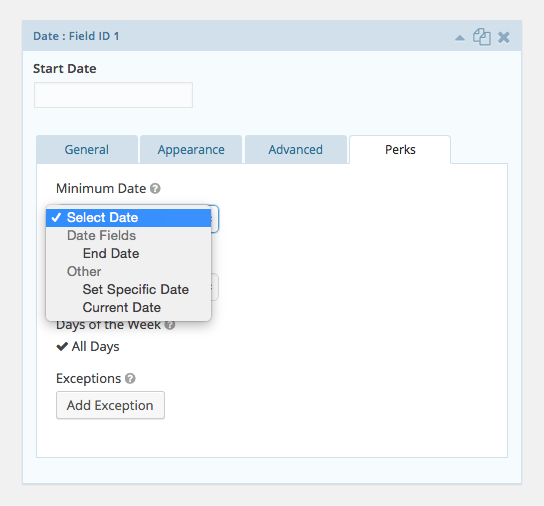 The minimum date setting allows you to specify the earliest possible date that can be selected in the date field. There are several types of values that are accepted. The earliest date selectable in the current Date field will automatically be adjusted based on the selected date in the specified Date field (i.e Start Date field can set the minimum date in the End Date field). Specify a specific date which will be the earliest date selectable in the current Date field. The current date will be the earliest date selectable in the current Date field. This is a dynamic value and will automatically adjust to the current date with each new day. The Date Modifier settings allows you to modify the selected date by adding or subtracting days, weeks, months or years. 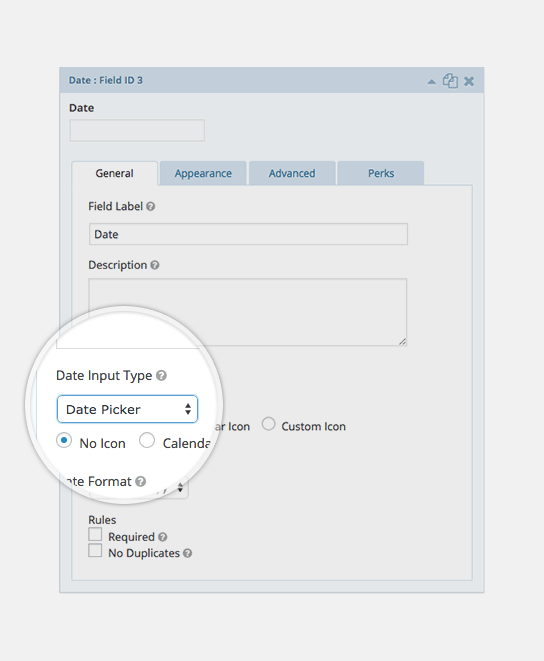 The date modifier input is available when a Date field or the Current Date option is selected. Require date to be at least one week from the current date. Require date to be within the previous year from a user-selected date. Require date to be at least three (3) days from the current date. See Minimum Date above. The same settings apply; however, the setting will impact the latest date selectable rather than the earliest date. The Days of the Week setting allows you to limit which dates are selectable based on the days of the week (a.k.a Monday – Sunday). By default, all days are allowed. Click the “All Days” option to select specific days that should be selectable. If Saturday and Sunday are selected, only dates that fall on Saturdays and Sundays will be selectable. Exceptions allow you to negate the date limitations established in the other settings. An exception works with both selectable dates and unselectable dates. 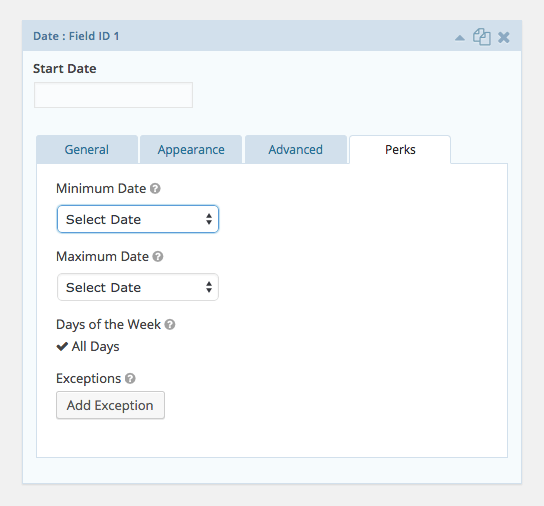 If the excepted date is selectable, it will now be unselectable. If the excepted date is unselectable, it will now be selectable. For example, if Monday through Friday are selected for the “Days of the Week” setting but you would like to make allow a specific Saturday to be selectable, you can add an “exception” for that specific Saturday. Click the “Add Exception” button and select the desired date from the date picker. Instead of the drop-down picker you can display the inline calendar. 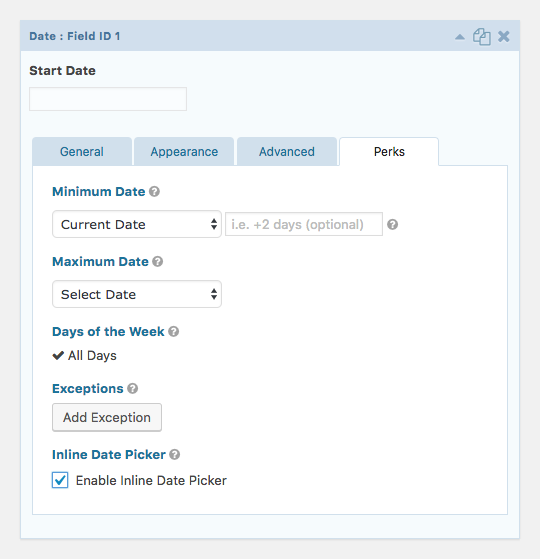 Check the “Enable Inline Date Picker” box on the “Perks” tab to activate the feature. 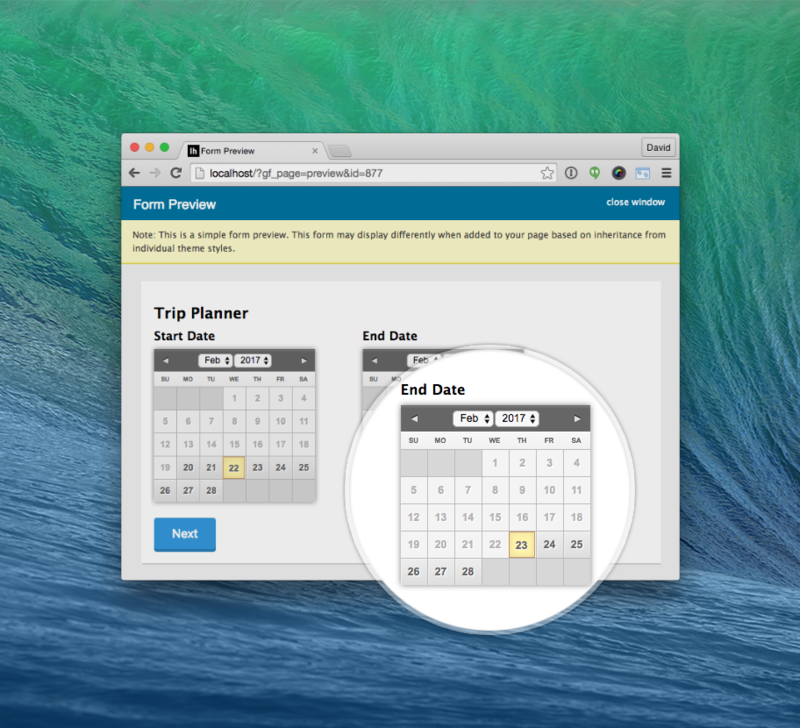 As shown on the next screenshot, the inline date picker is initially displayed on the page and doesn’t close when you select dates. 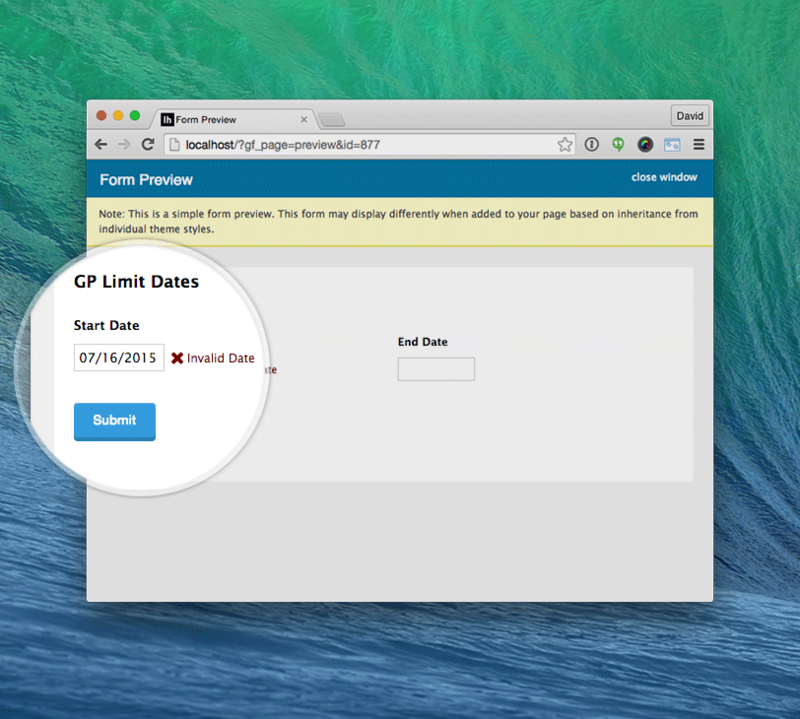 Date fields limited by GP Limit Dates will be validated client-side and server-side. The client-side validation is relevant when users are manually entering dates in the Date field rather than selecting the date via the Date Picker. The client-side validation will notify the user that the entered Date is invalid; however, it will not prevent submission. The server-side validation will return a validation error if an invalid date is submitted. When the Current Date option is selected for either the Minimum or Maximum Date settings, the current date will be calculated based on the timezone configured on your WordPress settings page. This prevents users in different timezones from selecting a day that has already passed in your timezone. There are currently no snippets specific to this plugin. 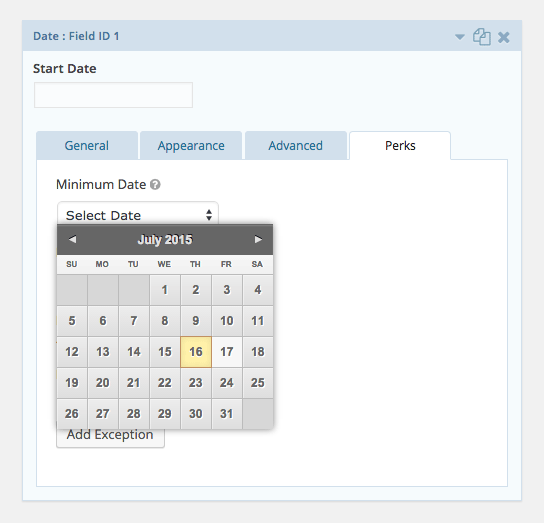 Added JS filter: gpld_after_set_min_date; supports functionality such as populating the new minimum date into the field and opening the datepicker in Field B after a date has been selected in Field A. Added GP_Limit_Dates::get_limit_dates_field_options method to ensure that the generic "gpld_limit_dates_options" filter was applied when fetching options for a single field. Added fix to resolve issue where min/max dates were not set for Inline Datepickers after an AJAX-submission. Fixed issue where inline datepickers did not correctly show first selectable date. Fixed issue where inline datepickers did not currently display selected date when rendered while hidden (via conditional logic). Added support for script/style minification. 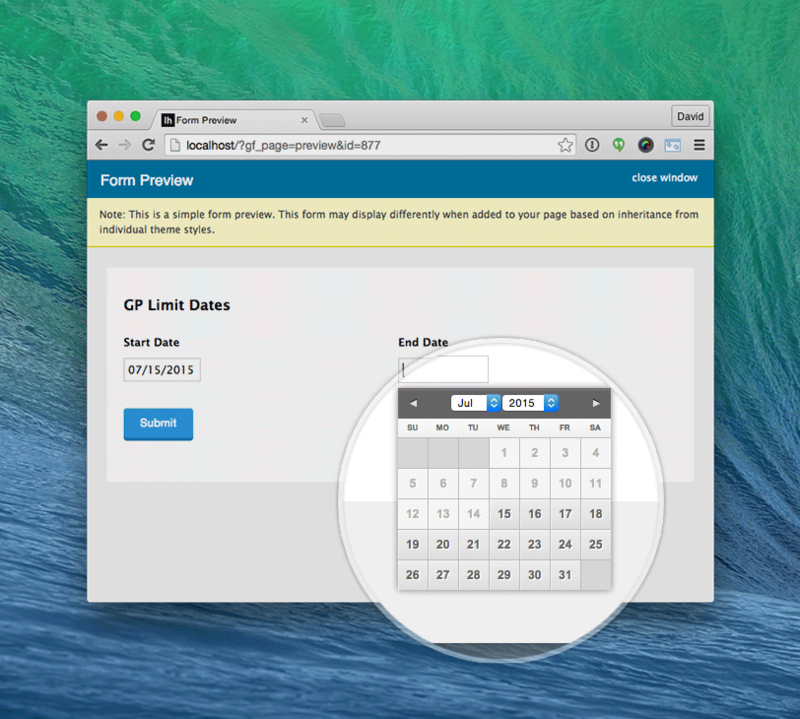 Added support for GP Limit Dates inline datepicker. Fixed issue where change event was not triggered for inline datepickers when new min/max date was set. Fixed bug introduced in 1.0.8 where minDate field-based dependencies were accounted for but maxDate's were not. Added support for automatically setting Date field minDate by the minDate of the Date field on which it's minDate is dependent. Fixed issue where default value in Date Field A did not correctly set the minimum date for Date Field B when configured to do so. Fixed issue introduced in 1.0.2 where an error was generated if the datepicker was reponsible for setting the min/max on more than one Date field. Added support for disableAll property on date option data; allows all dates to be disabled by default. Added support for "exceptionMode" via 'gpld_limit_dates_options' filter; allows modifing how excepted dates are handled (blocked, enabled, reversed). Fixed issue where setting limit date options via the 'gpld_limit_dates_options' filter did not activate limit dates functionality for the form if there were no options already configured for the field.